Log In / Book A Class Now! "I have been coming to My Pilates Studio for over 2 years now after having both spine & knee surgery. I have never been happier than now with my core strength! All The instructors in the studio really know how to help you change your body. Melanie gives a challenging workout with perfect verbal cues for good form. Susan is soothing & calm, but changes her routines to offer an element of surprise! Nikki knows how to work every part of your body & let you know you are alive & strong! Some of the new instructors like Amy are adding their personal strengths to the mix. I am a committed & avid fan of the studio because my results have been very noticeable . I stand taller, have less joint pain , & feel proud of my fitness achievements! I love all the instructors for their humor and positive energy! Thank you!!! !❤️"
"After not working out for almost a year, I joined in March 2018 and have not looked back since. MPS is my morning home. I come almost 5 mornings a week. All the instructors make each class fun and challenging. The energy is uplifting. I am grateful to belong to MPS." "LOVE this studio! I started Pilates a few months ago after never having taken a class before. Melanie is a fantastic, patient, and professional trainer who built up my confidence and skill. She encouraged me to take a group class which I reluctantly did. It was great!" 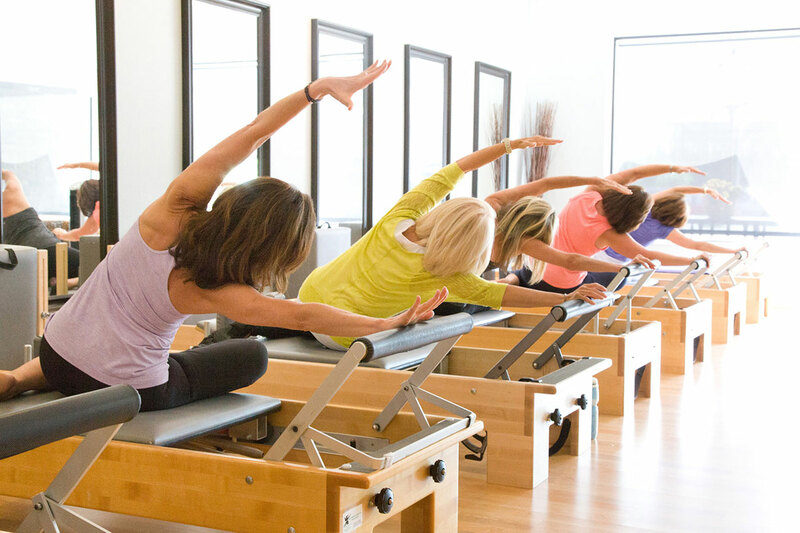 "I’ve been going to My Pilates Studio for about 2 years, 5-6 times per week, and I love it! Not only has it changed my body but it’s a place I look forward to coming to because of the people. The instructors are incredibly knowledgeable and friendly. I have never experienced the same class twice. There is always a new exercise or piece of equipment to use (weights, jump boards, rings, balls, etc). It is never boring and the hour flies by! My core is dramatically stronger, I’m far more flexible and I feel more confident as a result of pilates. I highly recommend this studio for its teachers and it is also very clean and well maintained." CREATIVE FULL BODY WORKOUTS designed to be safe and effective, mixing hi-energy cardio w/traditional core strengthening, muscle lengthening and stability exercises. YOU WILL NOTICE improvement in your flexibility, posture and balance. You will build muscle where you want it and remove excess bulk from where you don’t. COME AS YOU ARE We invite people of all ages, fitness levels, weights and body types. Exercises can be modified to suit complete beginners and yet are challenging enough for athletes and fitness enthusiasts. HEALING? We are committed to our clients recovering from old and new injuries, surgeries and chronic back pain. The reformer is the ideal transition from physical therapy, gentle enough for pregnant women and perfect for golfers looking to improve their game. WE ARE COMMITTED to our student recovering from surgery, injury, and chronic pain. 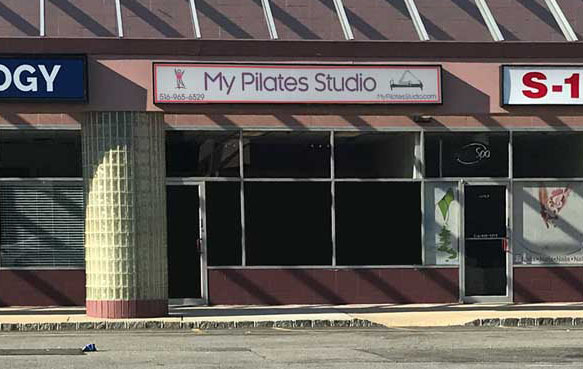 MY PILATES STUDIO offers pilates classes to Melville, Syosset, Dix Hills, Woodbury, Huntington, Jericho, and the surrounding Long Island areas. A FEW OF OUR CLASSES… Reformer/Barre Combo, Hard”core” sculp, MAT, Michaelangelo arms and shoulders, Fat-blast Cardio, GotchaBack, Pilates HIIT Bootcamp, and coming soon Surfset, TRX and Silk Suspension. All classes offered are appropriate and open to all levels and abilities. Whether you are looking to lose weight, tighten up, or stretch your limits, My Pilates Studio is here to help you meet your goals. With mix and match locations, schedules, class options, easy online booking and affordable rates. © My Pilates Studio. All rights reserved. Developed and Maintained by Lake Technology Solutions, Inc.